Medha Deshmukh Bhaskaran is the author of the best-selling biography of Chhatrapati Shivaji, ‘Challenging Destiny’ (Crossword) and historical novel ‘Frontiers’ (Penguin Random House). Shivaji Maharaj, who founded the Maratha kingdom in the 17th century, holds an important position not only in the history but also the architecture of Maharashtrian region. The famed Maratha warrior is revered for his valour, bravery, administration as well as his tactical skills. While he had occupied a number of forts, he was also responsible for building many that established his position as the leader of the Marathas and as a strong military power. During his reign, he commanded more than 300 forts, which include the grand Raigad fort, the Sindhudurg fort and the Panhala fort. However, of all the forts Shivaji constructed and occupied, the one in Pratapgad is particularly significant as it was the only hill fort built by him. Situated a little more than 1000 m above sea level, the hill of Pratapgad in Javali valley was, and continues to be, surrounded by dense forests. Pratapgad was conceptualised by Shivaji after he took over the valley of Javali from the Morey family bearing the title of Chandra Rao—the Marathi jagirdar (the king grants large patches of land where jagirdars are allowed to collect agricultural revenue, with those funds a jagirdar is supposed to maintain cavalry for the king) of Javali—in a bloody battle in 1656. The valley, surrounded by the gigantic Sahyadri range and rivers such as the Koyna, was an extremely strategic acquisition as it provided no less than eight passes into the Konkan across the mountains. Large traffic from the Deccan plains would pass through these routes and into the Konkan region. Shivaji, who was also the son of a jagirdar under the rule of Sultan Adil Shah, the king of Bijapur, was well aware of the atrocities expected of the fiefs to collect revenue from their land in the name of the king. However, the Moreys of Javali were known to levy extra duty on the merchandise carried by merchants across the ghats. Shivaji used his diplomatic skills and popularised his notion of ‘swarajya’ (people’s kingdom) by lending a sympathetic ear to those under duress. This won him popularity (along with the title of people’s leader) and a force, which he combined with the king’s cavalry under his father’s patronage, to fight against the Moreys and finally capture the Javali valley. This was soon followed by the capture of the nearby Raigad fort, which eventually became Shivaji’s capital and was the place of his coronation as Chhatrapati in 1674. Most of the money from Morey’s treasury was used to build the Pratapgad fort in 1656. It was here that the famous battle between Shivaji and Adil Shah’s general Afzal Khan took place in 1659. Known as the Battle of Pratapgad, this was the first time that a relatively small Maratha army would defeat Adil Shah’s forces, despite being outnumbered. Thus, positioning the Maratha leader in the eyes of the Mughal sultanate as a force to be reckoned with. However, before all this happened, the decision to build a hill fort in the middle of a dense forest, with no cities or civilisation close by, could have been considered highly unusual. This was because forts are usually built as a means to protect people around it, and are, thus, surrounded by towns and villages that would ensure a steady supply of food and water. And, herein, lay the genius of Shivaji, who was also well-known for his strategy in mountainous guerrilla warfare. Shivaji was a great administrator and return-on-investment was one of his biggest concerns. In the beginning, his region was not yielding enough agricultural produce and, hence, revenue was poor. Yet, he invested in Pratapgad. It can be speculated that after his acquisition of Javali from the Moreys, Shivaji had anticipated resistance from the Adil Shahi dynasty as well as the Mughal empire. Shivaji knew that once he took over the valley, Adil Shah would ask Afzal Khan—the subedar of Wai region (under which Javali fell)—to capture him. This is the same Afzal Khan, whose historic meeting with Shivaji has captured the imagination of Indians for centuries. The Maratha warrior knew that Afzal Khan would surely come with a massive army, camp at Baramati (around 150 km away) and then march northwards towards Pune, plundering homes, burning barns and killing peasants on the way, thereby destroying his budding swarajya. 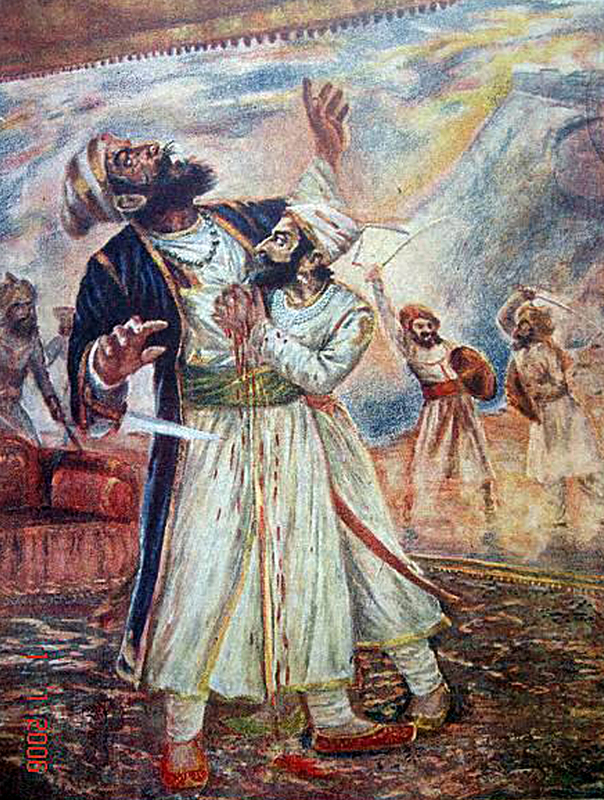 But if Shivaji had a hideout like Pratapgad to stay put, Afzal Khan would have to come to Wai (where the independent landlords covertly supported Shivaji) and then to Javali, not only leaving Shivaji’s people and supporters alone, but also placing the enemy amid his military supporters. The Maratha master of guerrilla warfare was aware that the sultanate of Adil Shahi depended on their heavy cavalry, and that his army would be rendered useless in the dense forests of Javali, like a ship stuck in sand. With the help of Pratapgad, Shivaji shifted the rana-angan (the battlefield) from Pune to the valley of Javali, keeping his people safe. 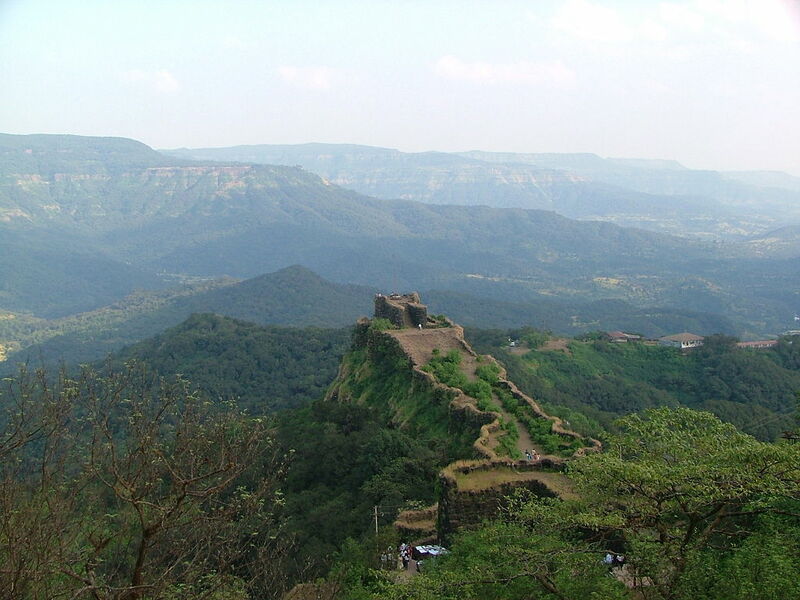 When Afzal Khan arrived with his massive army to capture Shivaji, the latter refused to leave Pratapgad fort. Afzal Khan had no other option but to come to Javali and camp on the banks of the Koyna river where his cavalry was of no use and he was at the mercy of the Marathas. Eventually, he had to agree to meet Raja Shivaji in a shamiyana (tent) erected on the hill of Pratapgad. And the rest, as they say, is history. This article was also published by The Statesman.